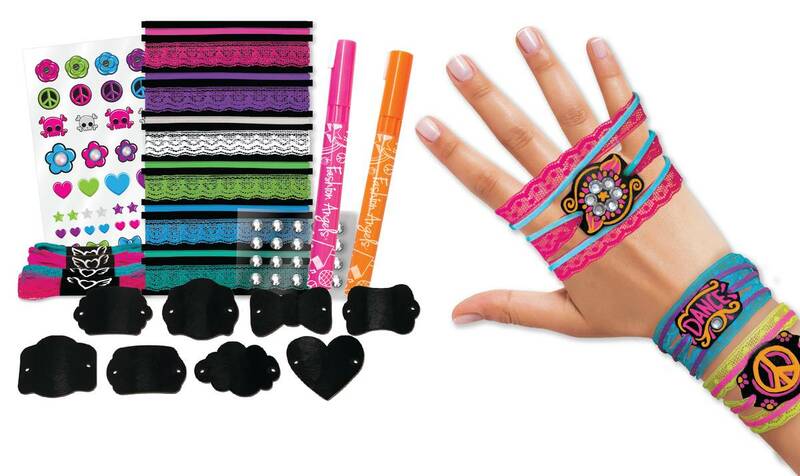 Create your own custom designed bracelets with the Chox'd™ Chalkboard Bracelet Kit. Create your own designs or messages on these bracelets using the chalk markers, gems, stickers and lace. Kit includes; 4 chalkboard message plates, suedette cording, raschel lace, trim card for suedette and lace, 2 chalk markers, flat-back gems with adhesive, glitter puffy stickers, and instructions.